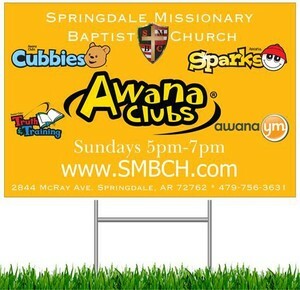 Awana is back in session and meets on Sundays (typically following the Springdale School Calendar). *Awana dues are $0.50 per child per week (this covers books); Uniform shirts ($9-$22) and club bags ($8-$15) are available for purchase. If you would like to be on a payment plan, you may sign-up to pay an additional $1.50 per child per week ($2.00 total) until your items are paid in full. Most uniforms and bags last more than one year, so this is not necessarily an every year purchase. Please feel free to contact us if you have any questions.